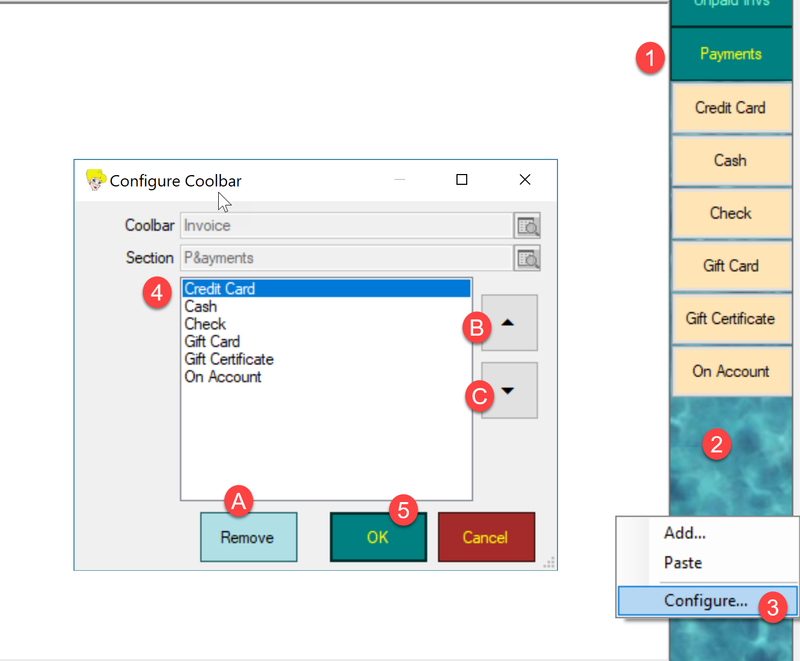 How do I configure payment methods in the coolbar? Payment methods removed from the Cool Bar are still available to collect payment, but will no longer be listed in the Cool Bar. How do I mark a customer record (employee or staff) as unavailable? How do I add a Payment Method to the Cool Bar?